I always heard of Sunnundalu/Minapa Laddu/Urad Laddu being praised for its nutritive value. But never heard of Pesara Laddu before. So when I visited my Aunt in Hyderabad, India, and was offered pesara laddu, I couldn't resist asking her the recipe. She then passed on the recipe to me and was telling me about the very 'neglected' laddu which almost matches its cousin Minapa Laddu in nutrition. I sure couldn't stop myself from gulping down one too many! Needless to say that the kids would love them too. This is a perfect time to get introduced to Pesara Laddu as the festival season is fast approaching and we all are looking around to gather as many novel recipes as possible. Roast whole moong dal in a little ghee and allow it to cool. Grind the roasted moong dal with almonds, cashew and the grated jaggery. In a mixing bowl, gradually add ghee to the above powder and mix well. Gather a little powder in hand make laddus and see them vanish! 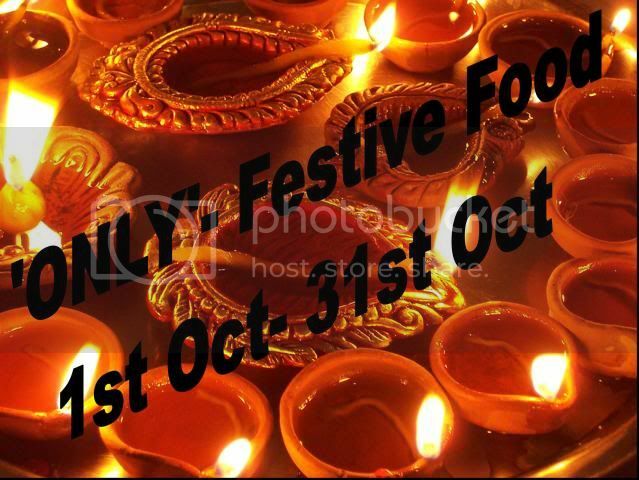 'CFK - Festive Foods - Sweet / Savory Versions' hosted by Suma Gandluru, started by Sharmi. never heard ladoos made with green moong dal! Beautiful looking moongdal, slight green colour makes the laddoos more cute..
Wow! Very healthy, a guilt free sweet. 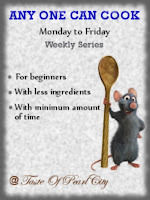 Thank you so much for linking this with Any One Can Cook Series 2. Totally new..never heard of this laddoo before..they look cute n perfect! 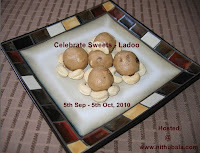 New recipe for me but looks yummy...Cant resist ladoos!! Thanks for the lovely, nutritious laddus. I substitute sometimes powdered sugar to jaggery in this recipe. Sunnundalu are a super cool form of sweets. I enjoyed your blog.